These are short job descriptions of the staff positions we hire each summer at Gwynn Valley. When completing a staff application, you can specify in which position(s) you are interested. Are you currently a high school student? 11th and 12th grade students are eligible to apply for Staff in Training (SIT) and Intern positions. Scroll down for more information about these two transitional staff programs. We are still hiring for…. Live in cabins with a co-counselor and 8-10 campers. Staff are responsible for the physical, psychological, and emotional safety of their children. Tasks in the cabin include waking children up and putting them to bed at night, monitoring personal hygiene of campers, consistent discipline, managing homesickness issues, as well as communication with your co-counselor. Staff teach daily in one of our program areas. 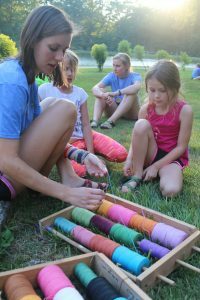 Adventure Counselors have the same responsibilities as Cabin Counselors with the addition of leading adventure activities and assisting with community building. Experience in one or more of the following areas is required: Backpacking, Outdoor Living Skills, Earth Skills, Hiking, Canoeing (flat water & whitewater), Rock Climbing, Mountain Biking, Low Ropes Course & Initiatives. Adventure Counselors work as part of our Mountainside or Riverside Program Areas. In our Mountainside and Riverside programs we work to build a strong sense of community through adventure activities. We offer programming in backpacking, earth skills, mountain biking, climbing, white water canoeing, pioneering skills and other activities. 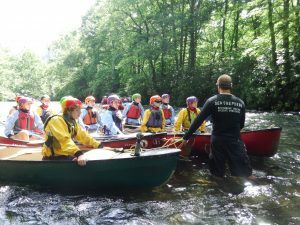 We are looking for staff who enjoy working with 11 to 14 year olds, have a passion for teaching, and have experience in leading outdoor pursuits. For more information on the Mountainside and Riverside programs please refer to the Program information pages. Day Camp Counselors work with a co-counselor to lead a group of 10 campers (a mix of boys and girls) through activities such as nature hikes, arts & crafts, sports, music, and games. Day Camp also utilizes main camp activity areas including the Stables, Waterfront, Farm, Mill, and sports. Day Camp hours are 8:30am-5:15pm, Monday-Friday. Day Camp staff also assist with an ‘open house’ for families on Sunday afternoons, and may also participate in camp activities during the evening including community chores, campfire, special events, occasional cabin sitting, etc. Housing and meals are provided for Day Camp Staff, although some may chose to live in Brevard and commute to work each day. 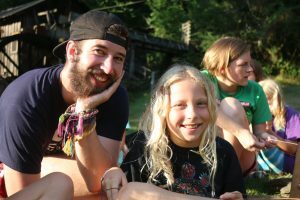 As a Program Leader you will oversee ONE of the following program areas at camp: Waterfront, Kayaking, Climbing, Mountain Biking, Camping Skills + Nature, Sports, Horseback Riding, Farm, Grist Mill, Fine Arts, Crafts, Pottery, and Blacksmithing. Program Leaders are responsible for planning, designing and teaching a creative, educational, and fun program. Staff will also maintain a safe program while supervising staff who assist with teaching in a specific program area. Program Leaders will also participate in camp activities during the evening including community chores, campfire, special events, occasional cabin sitting, etc. Each area of camp (Main Camp, Mountainside, Riverside, Day Camp, Young Leaders, etc.) involves a leadership role. 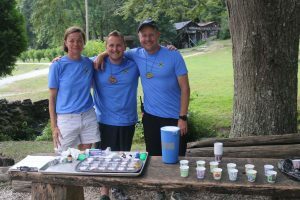 Leadership responsibilities vary across program areas but may include staff management, parent/family communication, program logistics and organization, coordination across program areas, and an overall commitment to doing whatever it takes to make camp run smoothly. 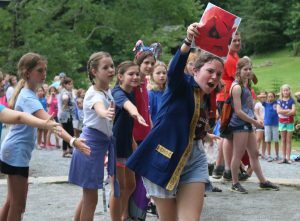 Your daily responsibility is capturing, uploading, and organizing images and video footage of campers participating in activities, as well as daily life at Gwynn Valley. Photographer will be responsible for taking photos and uploading to the camp website for parents and families to view throughout the day. 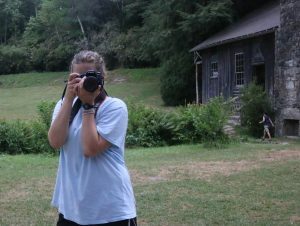 Photographer will also participate in camp activities during the evening including community chores, campfire, special events, occasional cabin sitting, etc. Videographer will take representative footage of the session and assemble a ‘session highlights’ video by closing day of each session throughout the summer. 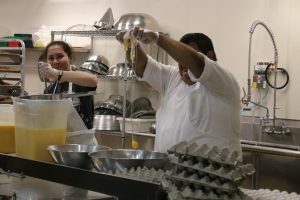 Kitchen staff work as a team to prepare and serve hot meals to 300+ people, for each of our 3 meals each day. Staff generally work as part of a morning or afternoon shift. Kitchen roles include sanitation, food preparation, baking, cooking, special foods, management etc. 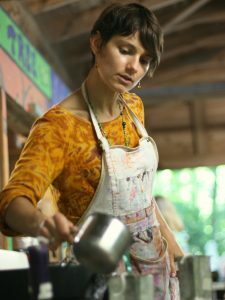 Kitchen staff may commute from town or live on site in side rooms of cabins that house campers, however will not have direct responsibility for campers. Grounds Crew and Maintenance staff work as a team to keep camp functioning smoothly and looking beautiful. 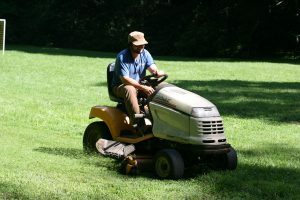 Grounds crew roles include mowing, weed eating, minor cabin repairs, splitting wood, managing trash, and recycling around camp, assisting at the farm, etc. Maintenance typically live on site, but may commute from town. If living on site, staff live in side rooms of cabins that house campers, however will not have direct responsibility for campers. 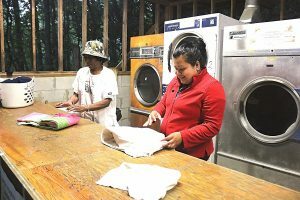 Housekeeping staff work as a team to keep camp clean and sanitary. Work for these staff include: laundry, cleaning buildings, bathhouses, and bathrooms, replenishing supplies at hand washing stations, and other cleaning duties as required. Housekeeping typically live on site, but may commute from town. If living on site, staff live in side rooms of cabins that house campers, however will not have direct responsibility for campers. Responsible for all tasks related to the care of the children of the year round or leadership staff. The nanny will serve as a loving, nurturing, and trustworthy companion to the child/children. 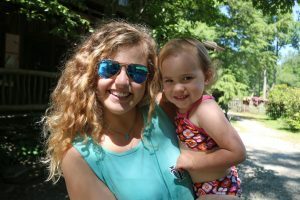 Nannies may also participate in camp activities during the evening including community chores, campfire, special events, occasional cabin sitting, etc. One doctor and two nurses manage the Health Care Center (HCC) to include camper medication management and treatment as well as management of any illnesses. These staff members typically work at camp for one session (not the whole summer), which range from 1 week to 3 weeks. Staff in Training (SIT) are typically former campers who are finishing their junior (11th grade) year of high school. The SIT position is designed to provide exposure to a wide variety of areas at camp for mature teens who are interested in future employment at a summer camp. SITs assist in the cabin, in two program areas (stables, plus another program of their choice), and in the kitchen/dining room. These staff members work at camp for three weeks at a time – not the whole summer. SIT: If you will have completed 11th grade and will be at least 16 years old by June, you may apply to the Staff-In-Training (SIT) program. Priority is given to former campers, and we cannot guarantee space availability to non-campers. The Staff Application will open to SITs on October 1, 2018 for the 2019 summer. We leave the application open until a sufficient number of applications have been received. Historically we have closed the application on or near November 1, after a month of applications. Decisions about SIT placement are typically made in December as we make every effort to let applicants know about placement before the end of the year. 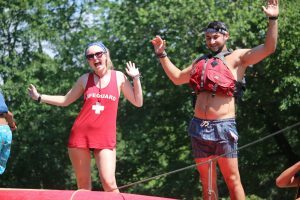 Interns are former campers who are finishing their senior year of high school (12th grade) AND must be 18 years old by the time they work at camp. Interns work at camp for 3 or 6 weeks – not the whole summer – and placements are based on established 3 week intervals. Interns may work as part of Day Camp, Main Camp, Mountainside, Kitchen, Farm, Stables, Crafts, Maintenance, Photography, or as a general support person to the overall operation of camp. INTERN: If you will have completed 12th grade and will be 18 years old by June 2018, you may apply to the INTERN program. Priority is given to former campers and SITs, and we cannot guarantee space availability to non-campers. To learn more about the Intern Program, read through the 2018 Intern information document.